Earlier this morning, Nokia released a public beta version of its Mail on Ovi service, which enables users to sign up for a free e-mail account directly from their Series 40 handsets. The new service is available worldwide and available in a dozen languages, after a test period of one month during which users in India, Malaysia and the Philippines were able to try out the service. 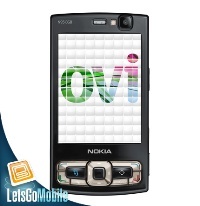 Mail on Ovi gives users all the features and functionalities of a PC-based e-mail account, and functions on some 35 different Series 40 handsets. Nokia claims to have shipped over 110 million of such devices globally as of October 2008, so this is definitely a major announcement, particularly for countries where mobile devices are the main digital communication hubs instead of computers. These so-called ‘emerging markets’ represent a big growth opportunity for mobile device manufacturers and service providers, so it’s no wonder Nokia is so focused on creating new services to go with lowered-price devices. (Its more advanced phones are in the Series 60 line). Nokia Mail on Ovi is available in 12 languages during the beta period including English, Spanish, Portuguese, French, German, Hindi, Bengali, Tagalog, Bahasa Indonesia and Bahasa Malaysia. Users with a Nokia Series 40 device can head over to this website to check it out. Over the weekend, Nokia also announced that it started combining sign-ins for its overall services site Ovi.com and for its media sharing service Share on Ovi. Nokia said earlier this month it aims to make annual revenue of at least 2 billion euros ($2.79 billion) from Internet services in 2011, focusing on navigation, music, games, messaging and media.